When Outside Concepts’ Martyn Hewett was contracted to build a single carport for this Queensland home, one of the key design briefs was to build a structure that perfectly matched the existing house. And that’s exactly what Martyn and his team from the Kenmore branch have achieved. The design of the single carport is in many ways quite simple as it draws on the colours, materials and style of the house. But with a sharply sloping driveway to contend with, the design needed to be carefully done to ensure the carport didn’t appear top-heavy. This was achieved with the use of timber slats at the font and sides of the carport, which closely match the slats used in the house. 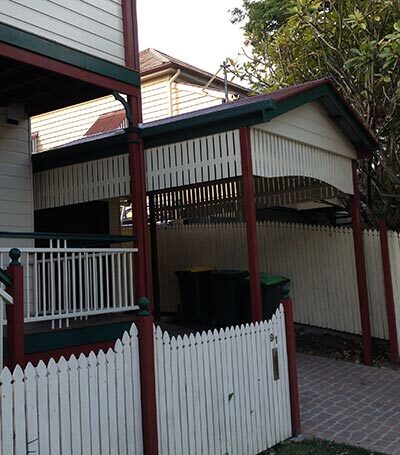 The result is a carport that is practical and provides additional protection for the homeowner’s cars. Just as importantly, the carport is a stylish addition that, apart from the freshness of the paint, looks as if it was built at the same time as the house.